News UK, Telegraph Media Group and Guardian News & Media are to pool some of their digital display ad inventory in a new joint advertising platform in a significant move. Advertisers and agencies will be able to buy digital inventory and access audience data across The Sun, The Times, The Daily Telegraph and The Guardian from one sales point for the first time. The three publishers say they want to offer a "premium" scale alternative to Google and Facebook and they have put aside their historic differences to invest what they say is "a sizeable amount of money" in The Ozone Project, which takes it name from the protective layer that protects the Earth’s atmosphere. It is a potentially landmark moment because the UK newspaper industry has held on-off talks about pooling their ad sales for at least two years and has made little headway on collaboration until now. 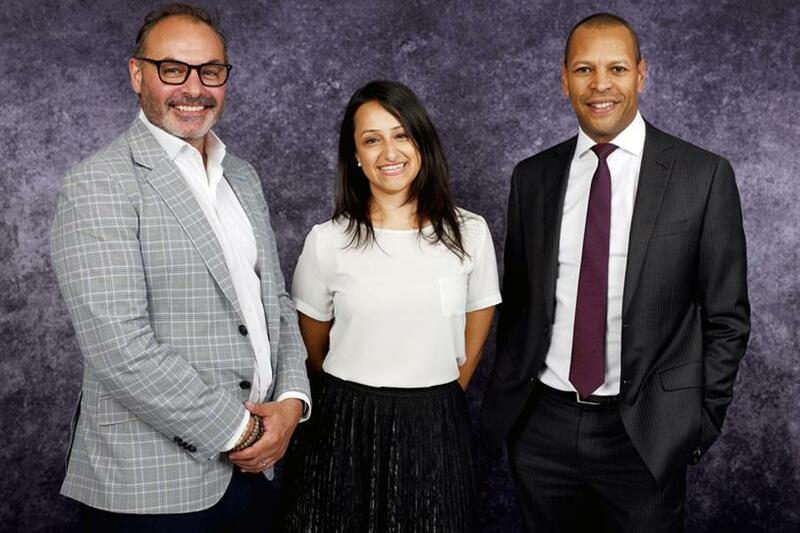 Dominic Carter, chief commercial officer of News UK, Hamish Nicklin, the chief revenue officer of Guardian News & Media, and Dora Michail, managing director of digital for Telegraph Media Group, announced the launch of The Ozone Project in an interview with Campaign. The three publishers will each have an equal stake in The Ozone Project, which will be a standalone venture with its own chief executive and sales team. The Ozone Project says ad buyers will get "direct and transparent access to an audience of more than 39.4 million unique users in brand-safe, fraud-free, premium environments across the UK’s most trusted publishers". The audience is roughly on a par with Facebook’s reach in the UK. calls from advertisers for greater collaboration between premium publishers to make it easier to buy trusted ad inventory at scale. News UK, Telegraph Media Group, and Guardian News & Media have timed the launch of The Ozone Project to coincide with this week’s Cannes Lions ad festival. Michail said: "We started from a position of wanting to create improvement in the eco-system and to produce something that would be better for advertisers, consumers and publishers. "We have a foundational belief in quality journalism and the need to create sustainable ways to fund it." Most advertisers are expected to buy the digital display ad inventory on a self-serve basis by using real-time, automated targeting – known as programmatic trading. The Ozone Project is "being built with programmatic at its heart", according to Nicklin who stressed: "This is what digital advertising can look like properly, when it’s done well." Nicklin has led efforts to improve the media supply chain after revealing The Guardian had bought its own digital display inventory and found as little as 30p of the advertiser’s £1 reached the publisher because there were so many intermediaries taking a cut. He said they hoped The Ozone Project would "drive revenues and yields" and help all three publishers "make more money". They plan to let the new chief executive of The Ozone Project to present detailed plans to UK agencies later in the year when it is ready to begin trading in the autumn. The publishers have already begun testing the platform in a so-called "alpha" phase. They hope to persuade "other quality publishers and partners" to join The Ozone Project "over time". Each of the publishers will keep their own existing digital ad sales teams, who will continue to compete with each other and still sell their inventory directly. However, they believe The Ozone Project will attract buyers because it will have "scaled, first-party data" and be able to buy the digital display ad inventory in "one single access point". Advertisers won’t be able to buy multi-platform campaigns or print through The Ozone Project. The prospect of fierce rivals such as News UK, Telegraph Media Group, Guardian News & Media pooling their digital ad sales would once have been unthinkable. The newspaper groups have come round to the idea of collaboration as digital ad spend has flowed out of news brands into the global tech platforms. Campaign revealed in 2016 how News UK, Telegraph Media Group, Guardian News & Media, Daily Mail & General Trust and Trinity Mirror had begun talking about pooling their print and digital sales. The plan, dubbed Project Juno and then Rio and Arena, proved too ambitious as DMGT, Trinity Mirror (now known as Reach) and TMG dropped out over the next 12 months. News UK and Guardian News & Media kept talking during the second half of 2017 and persuaded TMG to get involved in a The Verified Marketplace, backed by News UK’s video platform Unruly, which distributes "in-stream" video ads across the three publishers’ sites. Setting up The Ozone Project is a much bigger step for News UK, Guardian News & Media and Telegraph Media Group because the three groups have invested jointly in the new venture. Carter said it was "a good time" to launch The Ozone Project because advertisers are worried about brand safety and fraud and Verified Marketplace has proved that the publishers can work together. Robin O'Neill, digital trading director at Group M, welcomed the launch of The Ozone Project. "This is a much more significant collaboration than we have seen before," he said. "I've been quite active in the last two years, encouraging publishers to work more collaboratively to enable our clients to deliver advertising in a quality environment at scale. "It means we have viable alternatives to the Facebook network and the other tech platforms." He added: "We don't need consolidation of the sales point [with news publishers pooling all their ad sales in a joint sales house for all their inventory]. "We need a platform [that makes it easier to reach a larger advertising audience] with intelligent and addressable formats."